Fortunately for us, we are in a rather rural, mountainous area, only 8 miles from France. As is true in most places of the world, civil unrest and its ill effects tends to concentrate in populated areas. We have made a contingency plan, stocking some extra cash, food, water, diesel, and supplies, have confirmed that our cell phones can roam to French towers from the house, and decided to wait it out, as nobody really knows what will happen. While Iberian culture can tend to drama and overreaction, they also use inertia and laziness as a tool of achievement. It could go either way at any time. As the referendum approached, I decided that I would go flying on that day. If history was being made, there was a chance to be in the air and take some photographs of Catalonia while it was happening, though my expectations were not high of a new republic forming, given the cat and mouse game that preceded October 1. On that Sunday morning, I drove over to the airport, and noticed a few things: it was eerily silent, and then I saw two staff members glued to the television, watching the Spanish police use rather heavy handed methods against people waiting in line to vote. There was a palpable shock, sadness, and tension in the room that reverberated around the region that day. I still went flying, even though things appeared to be going downhill. Airspace was only closed over Barcelona (not that there was much of a systemic way to find out, other than watching the news), and nobody said I couldn’t go up. If a revolution was unfolding, why not go flying? These situations do not come frequently in life. As the tension heated up, it was evident the “resolution,” if there was going to be one, would not be overnight. If history is being made, it is over the course of some days, and like everything else on the Iberian Peninsula, things are not finite, orderly, or predictable. Thus, I decided to keep flying daily during the “revolution” (if that is what it is), simply because I can, and to sort of make personal sense out of the upheaval going on around me. On one hand, culture here is quicker to take to the streets in protest, while on the other, people do not think it is as big of a deal as it is in America. The flights continued daily as the vote was finalized, while the Catalan general strike took place and exits of La Cerdanya were blocked by protests, on the day of the King’s first speech since the terror attacks of 2004 and coup attempt in 1981, the day of the President of Catalonia’s speech in response, the day Catalan Parliament was called to convene in the future to discuss independence, the day the Spanish Constitutional Court suspended the session, and now while we wait for the President of Catalonia’s speech at 6PM Central European Time on Tuesday. Will he declare independence, or step back from the brink? Time will tell. Many Catalans think I am a bit nutty for getting our pets’ paperwork updated (in case of a border crossing), buying supplies, and generally taking stock of our preparation. They all insist nothing will happen, that the “Catalans are a peaceful people.” They also admit they never expected the Spanish police response, nor did they think Europe would stand by idly, yet they still assure me that nothing so severe will happen. “And if it does? Isn’t it a bit late to prepare?” At that moment, they finally admit that I would be screwed if there was a mad rush for supplies in the face of conflict. These realities were cemented as I spoke this weekend to a neighbor, whose grandfather fought in the Spanish Civil War in the 1930s. He asked him “didn’t you see the war coming?” His reply: “No, we went to work the day before, thinking everything was normal. Then the war started.” This echoes conversations I have had with a number of older folks, some of whom have since passed on, that left Europe after WWII and settled in the area where I grew up in Upstate New York. Their lesson was always quite clear: things can change in a heartbeat, and they can descend into a level of madness that nobody expects. Archduke Franz Ferdinand, Pearl Harbor, 9/11….need I say more? The events in Catalonia, labeled “Europe’s most troubled region” by the press, touch on subjects that affect the entire developed world. Where does human rights end and the duty of unity of a state begin? How does the right to self-determination mix with national sovereignty? What role do larger institutions, treaties, and other countries play in the defense of a disenfranchised group of people? While the developed world has made progress on these fronts, we haven’t solved them all. They are questions worth pondering, and Catalonia will most certainly make an attempt at answering them in the coming days. Over the last weekend, the region seemed to take some bit of a breather, despite continued protests in Barcelona for and against unity with Spain. 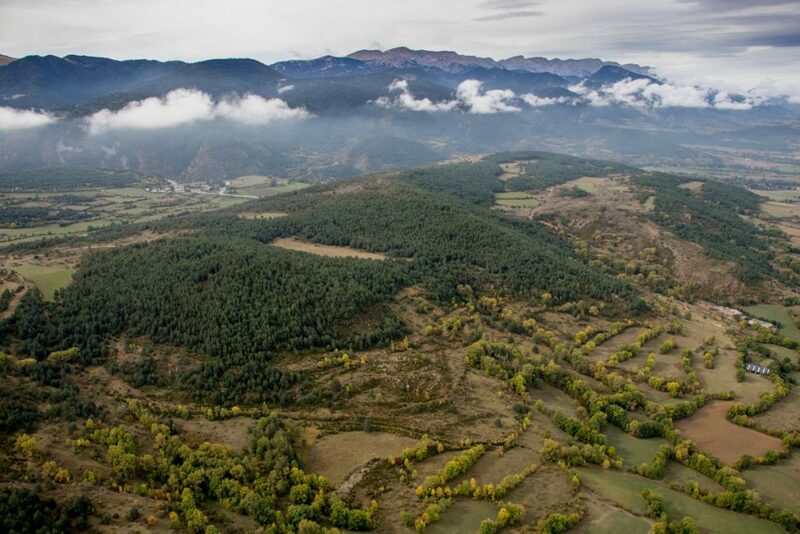 A turbine-powered remote control aircraft festival was held at La Cerdanya aerodrome, attracting hordes of people from France, Italy, Catalonia, and the rest of Spain, bringing a welcome respite from the weightier matters affecting everyone. Clearly, for these people that came, aviation trumps the prospect of civil unrest, such that they would drive to a separatist region in a political crisis. For me, my disposition is unchanged: I am going to keep flying until someone tells me I can’t, and then I will find a way to do it anyway. October 2 – The vote is counted. Flight over Moixeró ridge (~7,000′ ground elevation) with a strong north wind. October 3 – The King’s speech. 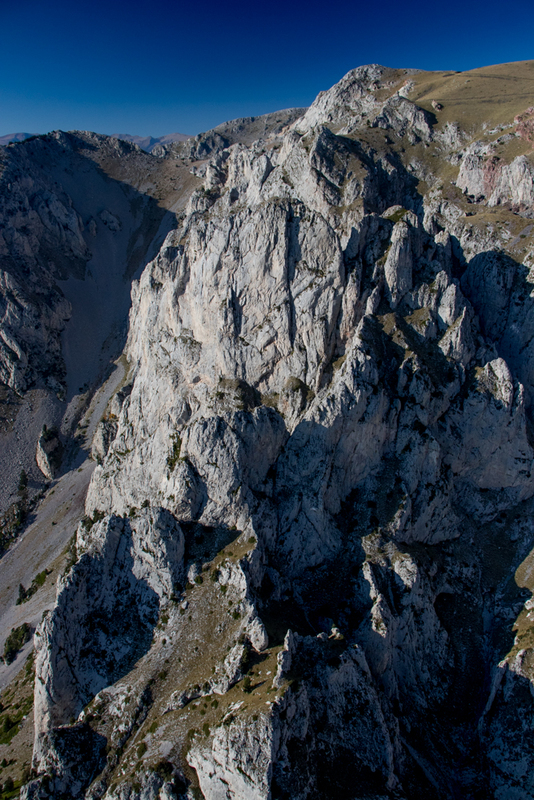 Flight to the French side, Val du Capcir. No political crisis here…. October 4 – Carles Puigdemont’s speech. The inversion returns now that fall is here. 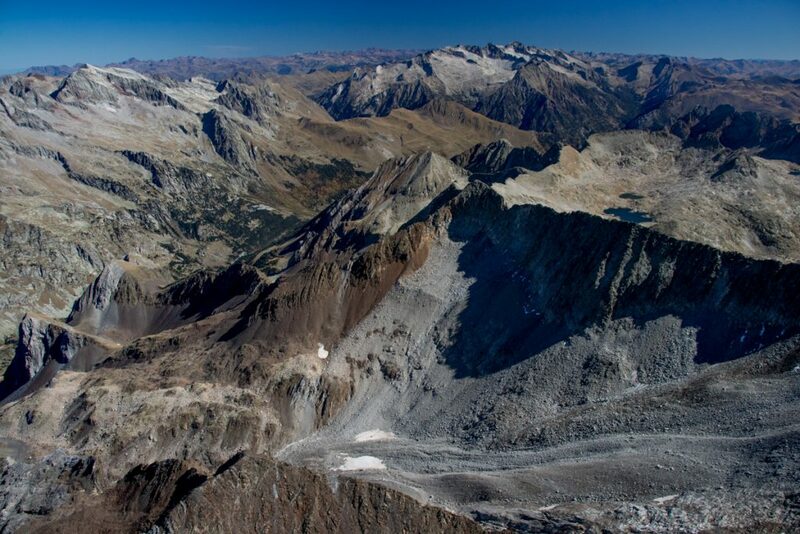 5,400′ altitude. October 5 – Spanish Constitutional Court suspends Catalan session of Parliament. First time this close to the rocks beneath Tosa d’Alp. October 6 – Carles Puigdemont says he is speaking to Parliament on Oct 10 anyway. 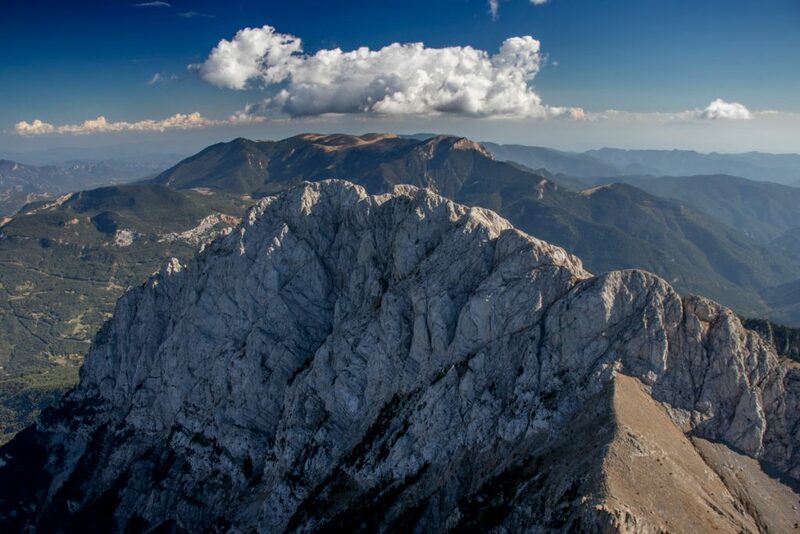 El Pedraforca (8,219′) – long a symbol of Catalonia. 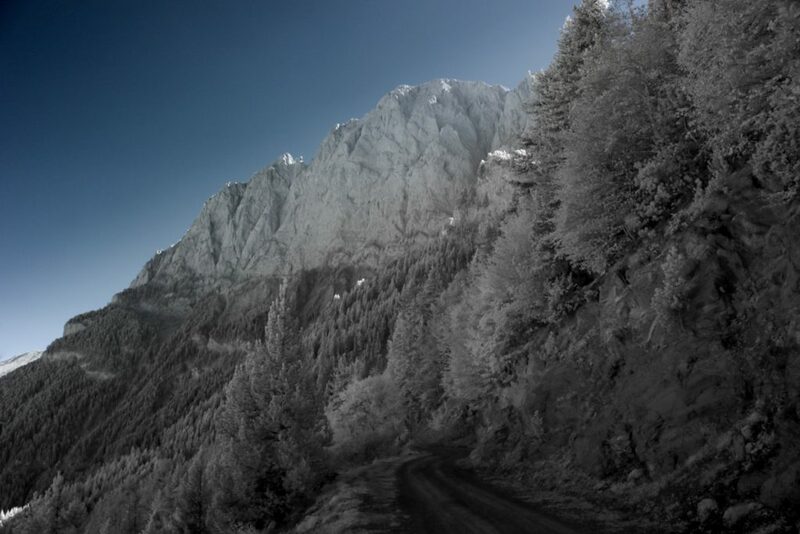 Pedraforca from the car, infrared image. October 7 – Things calm down a bit, other than ongoing and large protests in Barcelona. Local flight over a town where I spoke to locals on 10-1 and got an understanding of how the vote actually took place and the steps the Spanish Police took to try to stop it. I was mistaken for an undercover police officer briefly…. October 8 – Pretending nothing is happening. 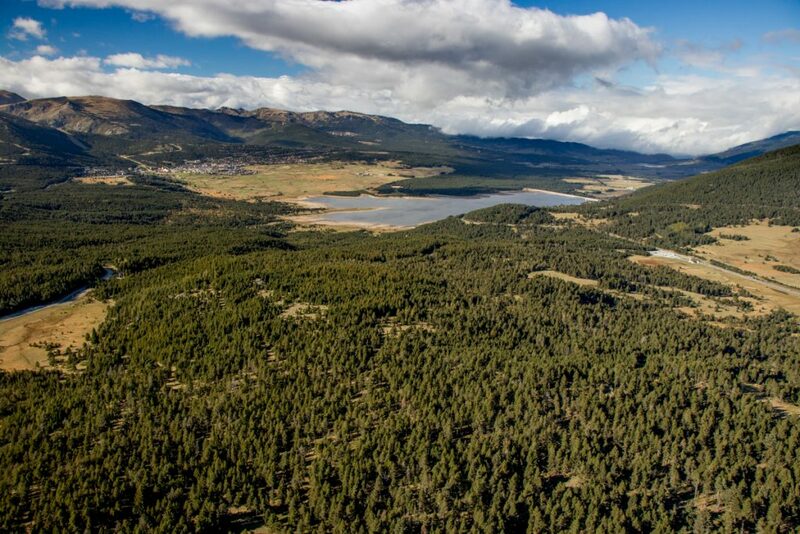 Posets-Maladeta park, 75 miles west of La Cerdanya, crossing into Aragon from Catalonia. 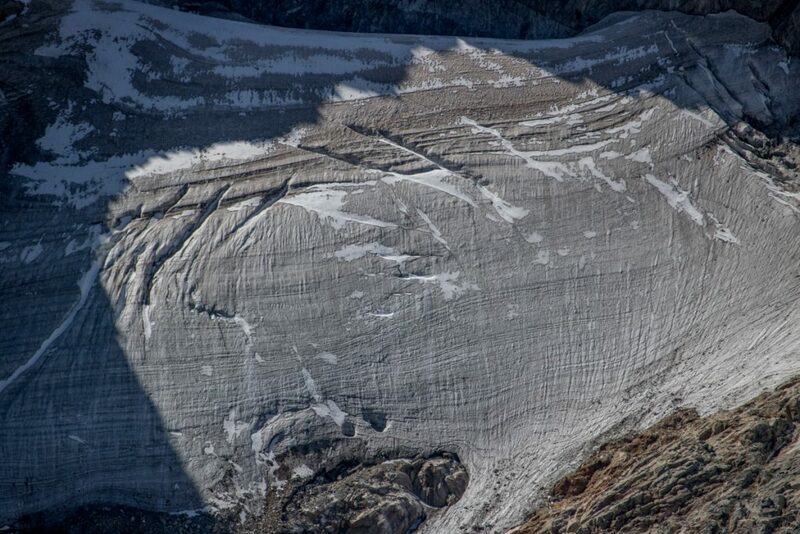 Found a small glacier hiding on the French side at 10,500 feet. 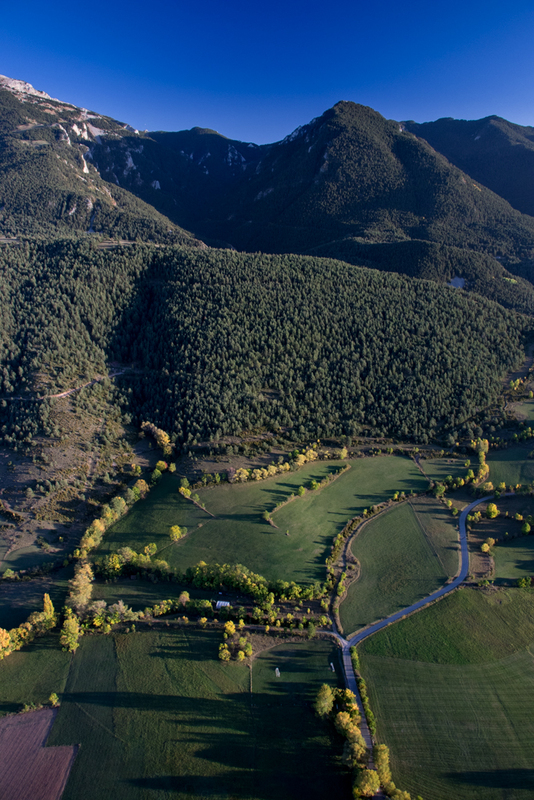 Landing at Castejon de Sos, Aragon, Spain. 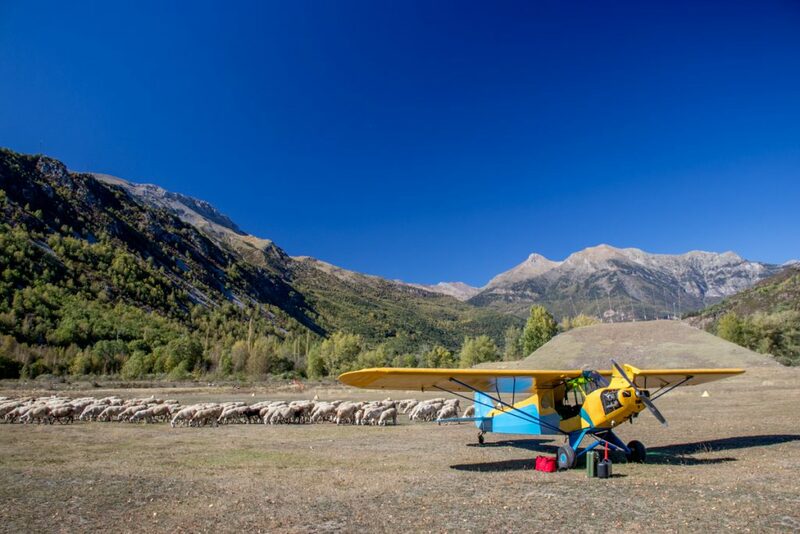 The field is extremely short, surrounded by mountains, and at roughly 3,000 feet elevation, making it my most technically complex landing yet. A shepherd holding two dead rabbits walked by, along with this herd of sheep. A Great Pyrenean sheep dog (not that ironic, given that I am in the Pyrenees) took to liking me and tried to herd me along with the rest of the sheep. This airport and experience will be one I will remember for a long time. 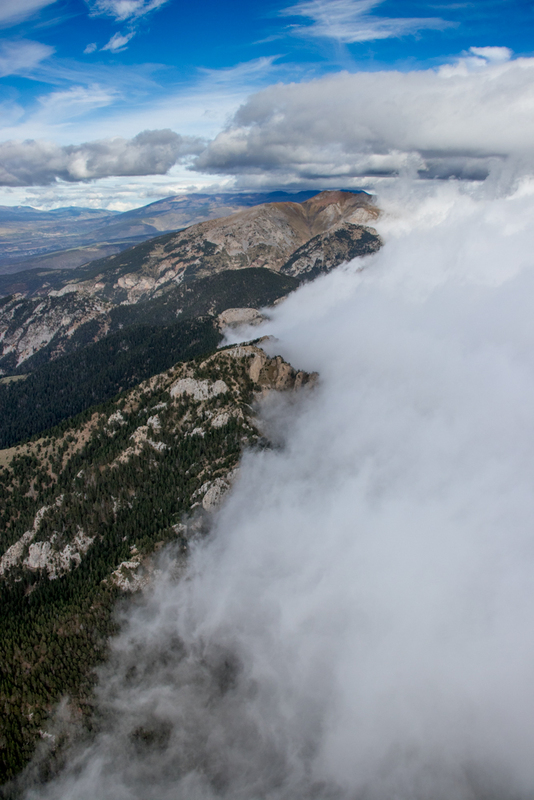 Garrett Fisher is an aerial adventure photographer, having photographed some of the most rugged and wild terrain in America from his 1949 Piper PA-11. 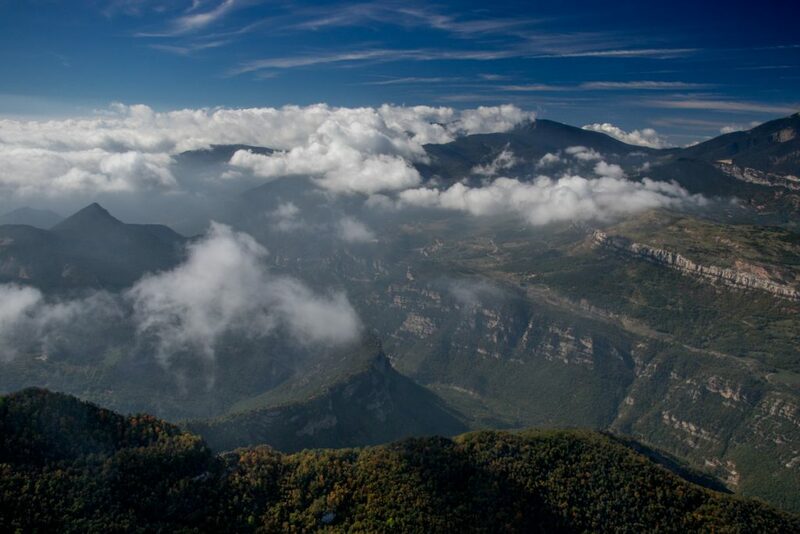 After living in Germany with the Cub, he recently moved to the Spanish Pyrenees to continue the flying adventure. He has published six aerial photography books covering the Colorado Rockies, Wyoming, high terrain in the Southeast, and the Outer Banks, with more US and European books in the pipeline. He blogs regularly about his flights at www.garrettfisher.me. Out of the normal, and I loved it. An exciting, unusual mix of political observation, flying, and cultural insights. I’ve enjoyed previous stories of fighting through the socialist bureaucracies to see the beautiful countries from above. But this one is your best yet.